A pretty 3 piece Art Nouveau pewter tea set, dating to circa 1925. 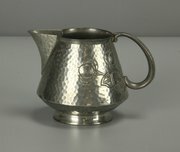 Made by Frank Cobb and Company in Sheffield as part of their Period Pewter range. 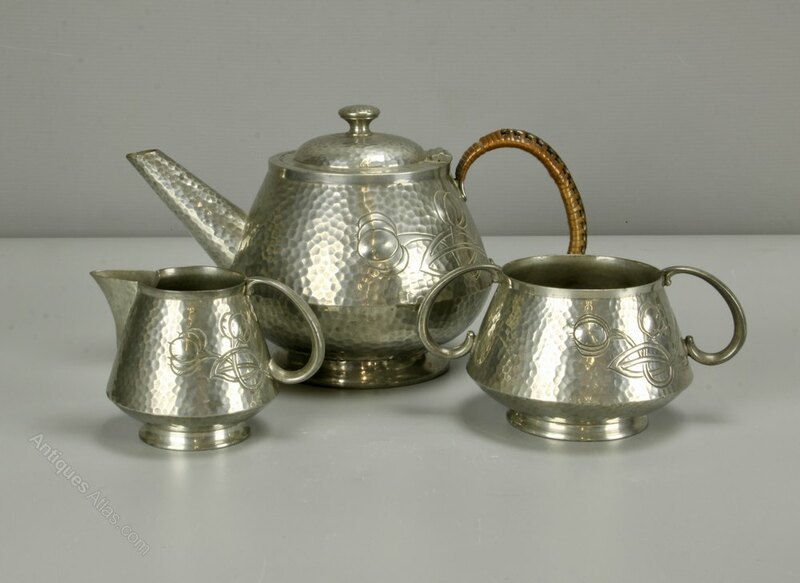 Offered in good condition, commensurate with age, the teapot retains its wicker covering to the handle and measures 14cm high.